Your performance has impressed more than one graduate employer, and now everyone wants you! Read on and find out how you should manage such a situation. You’ve went through several rounds of interview, and you’re ecstatic that your first job offer is in. Your efforts have finally paid off! And then you get another call – and find out that you’ve landed a second one! Getting multiple job offers is an indication of your (top-quality) competence, and it’s a good problem to have; but if not handled properly, it can go downhill very fast. 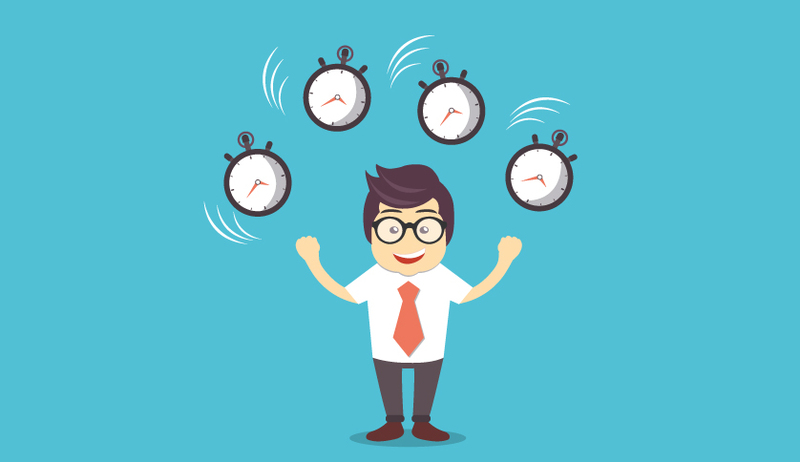 In many cases, juggling multiple job means tactful handling of your recruiters – as you rush one recruiter for his or her hiring decisions, you delay the other for a day or two. Here are some things that you will need to consider in the off-chance that you land yourself two or more job offers! This is often the best situation that an applicant with multiple job offers can land himself/herself into! If all the offers are in and on the table, then all that’s left is for you to compare them and make a decision. Of course, one of the main criteria to be compared will include the salary offered, but don’t base it solely on that. Remember that there are other benefits to be considered as well, such as training and progression opportunities, health benefits, additional incentive compensations, and allowances. There is also the question of office culture to consider: which are you most comfortable with? In other words, choose the offer with the best long-run opportunities that you’re most comfortable with. This situation is more complicated because it will require you to stall for time before you respond to the offer, and hurry your second recruiter for a hiring decision. This will require tact and diplomacy, and honesty as well. Make sure to get back to your first recruiter – whether through email or phone – and inform them about your situation. Most employers will understand your predicament, and won’t mind giving you some extra time to think about it. That said, don’t make up lies just to stall for time either! This will compromise your integrity, and may spoil your reputation as a jobseeker and employee. At the same time, get back to your second recruiter and inform them about your pending offer. Urge them to help you make your decision, but don’t be overly pushy either. If your second recruiter is unable to give you an earlier interview/verdict, then you will have to decide if you want to accept your first offer and forgo the second, or risk the first for the second. Once you’ve made your decision, remember to get back to all your recruiters! Don’t assume that your silence is good enough to inform them that you’ve declined their offer. Whatever decision you make, remember this: once you’ve accepted an offer, especially after you’ve signed the offer letter, you cannot change your mind and decline. You need to understand that your acceptance is a contract between yourself and the employer, and reneging a contract can mar your reputation irreversibly. It’s also common understanding that once you’ve accepted a contract, it’s unethical for you to continue trying out for the application process of other companies. Professional communication is very important, especially when you’re discussing and negotiating with employers. Make sure to be polite in your calls or emails to them, and don’t try to pit them against each other. Contrary to popular belief, rival companies are not enemies – their recruiters still do know each other and will talk. Effective communication will also help them understand how they can best welcome you into their organisation and make you comfortable.